Replicated systems are commonly used to provide highly available applications. In last years, these systems have been mostly based on the use of atomic broadcast protocols, and a wide range of solutions have been published. The use of these atomic broadcast-based protocols also has aided to develop recovery protocols providing fault tolerance to replicated systems. 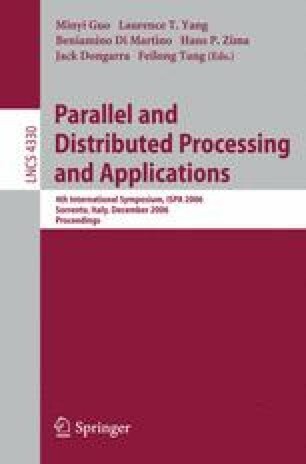 However, this research has been traditionally oriented to replication systems based on constant interaction for ensuring 1-copy-serializability. This paper presents a general strategy for recovery protocols based on linear interaction as well as providing other isolation levels as snapshot isolation. Moreover, some conclusions of this work can be used to review recovery protocols based on constant interaction. This work has been partially supported by the Spanish MCYT grant TIC2003-09420-C02-01.